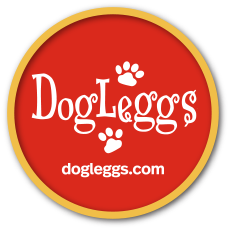 DogLeggs, LLC will issue a refund or credit for the full amount of the product purchase price (does not include shipping and handling costs) within five (5) days from the date DogLeggs receives the returned merchandise. Refunds will be applied to the original form of payment. Credits may be applied to the purchase of an alternative DogLeggs product. DogLeggs’ products are designed to offer comfort and support for your pet in certain situations. Use of DogLeggs’ products needs to be coordinated with the course of treatment for your pet recommended by your veterinary professional; they should not be viewed as independent treatment. DogLeggs, LLC warrants that DogLeggs’ products will be free from defects in materials and workmanship for a period of ninety (90) days from the date of purchase. This warranty does not extend to damage caused by your pet or misuse of any product. EXCEPT FOR THE FOREGOING EXPRESS WARRANTY, DOGLEGGS, LLC MAKES NO WARRANTY, EXPRESS OR IMPLIED WITH RESPECT TO THE PRODUCTS, INCLUDING ANY EXPRESS OR IMPLIED WARRANTY OF MERCHANTIBILITY OR FITNESS FOR A PARTICULAR PURPOSE, TO THE MAXIMUM EXTENT PERMITTED BY LAW. Use of DogLeggs’ products is at the sole risk of the user. In no event shall DogLeggs, LLC be liable to any user of DogLeggs’ products or any party claiming through any user for any damages whatsoever, including incidental or consequential damages arising out of the use of DogLeggs’ products, even if advised of the possibility of such damages. In the event of breach of warranty or damages actually caused by use of DogLeggs’ products in accordance with manufacturer's instructions, the sole and maximum liability of DogLeggs, LLC and any distributor in connection with use of DogLeggs’ products shall be replacement of the product or, at the election of DogLeggs, refund of the purchase price.